The penultimate day is always one of last minute line up changes and song promotion and demotion from the bands set lists. Today was just that day with new songs added to performance sets and other songs thrown out. New songs today included “One Step Beyond” made famous by Madness, which was an instrumental B-side written by Jamaican ska singer Prince Buster. The song can be found on the bands 1979 debut album “One Step Beyond…” and is bound to remind any parents in the audience on gig night of their high school disco dancing days! Another great track that was new to the bands today was the Joan Jett hit “I Love Rock N’ Roll“, which is another cover version and was originally recorded and released by the English band Arrows. The track took the #1 spot across all US singles charts in 1982. Finally, a favourite track this week has been “Crazy Little Thing Called Love” by Queen. The rock n roll inspired track bounces along with a steady shuffle back beat and bright open string chords that were written by Freddie Mercury in the bathroom! The song uses the Dsus4 to add movement into an otherwise static, and potentially dull sounding, D major chord. This embellishment compliments the shuffle rhythm and is a great memorable hook to open the tune. The Southwest Rockers continued their jamming after some minor line-up changes to mix things up and allow the youngsters to experience playing alongside new musicians after a couple of days of rehearsing in the same bands. Today’s play list included Nirvana’s “Smells Like Teen Spirit“, Metallica’s “Enter Sandman” and Gary Moore’s power blues “Walking By Myself“. 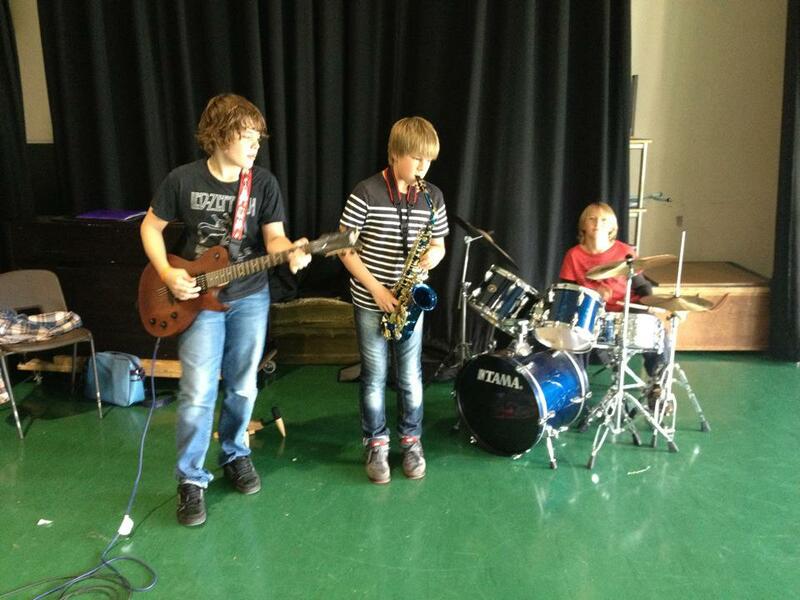 Below: one band jams The Red Hot Chilli Peppers “Californication“. Another band learned to play The Who classic “Substitute“, penned by Pete Townshend and released in 1966 reaching #5 in the UK. The track was supposedly inspired by Townshend’s idea that The Who were a substitue for The Rolling Stones and was the guitarists response to The Stones mega hit “(I Can’t Get No) Satisfaction“, which he wanted to try and match with a memorable riff of their own. The riff is made up of triads (3 note chords) with the open D pedal note in the bass. This creates a rich chord texture for the A/D and G/D, synonymous with the powerful Pete Townshend sound of the 60s. 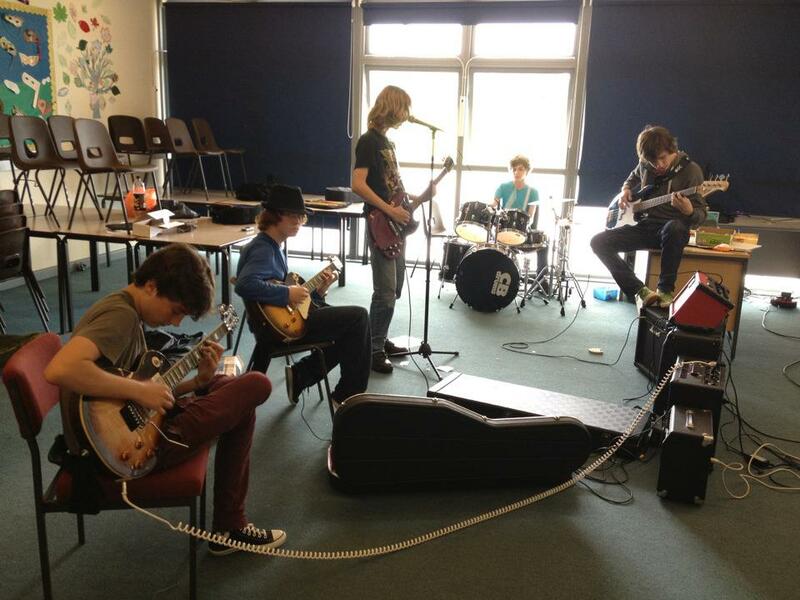 The Sussex Rocks bands reconvened in their rehearsal rooms for another day of knocking out classic rock tunes. One band, dubbed the Metal band, have been working on a Judas Priest track called “Victim of Changes” from their 1976 album Sad Wings Of Destiny. The track packs some awesome heavy riffing, dual guitar lines and complex structuring. The other bands have been working on plenty of great tracks including The Red Hot Chilli Peppers “Californication“, Jimi Hendrix “Purple Haze” and Bryan Adams “Run To You“. The Bryan Adams classic “Run To You” was featured on his 1984 album “Reckless”, which also spawned the moster hit “Summer Of 69”. The track opens with an arpeggiated three chord trick and packs a thunderous chorus. Read more about the recording process and how the track was almost never recorded here. All in all a great second day for the Sussex Rockers! Sussex Rocks kicked off today with 17 budding rockstars looking to further their game during the week-long Monsters of Rock Summer Camp! 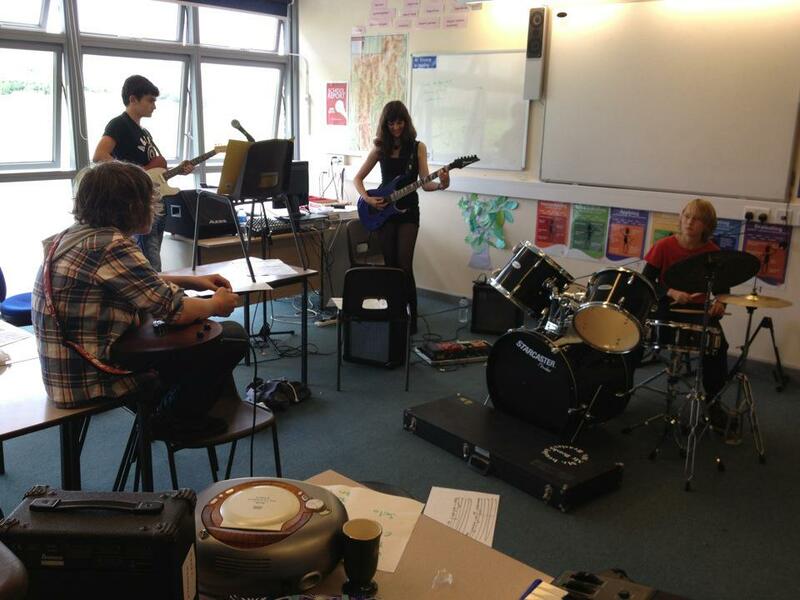 After a short introduction with Sussex Rocks tutors Richard and Jason the students split themselves into four bands and headed to the rehearsal rooms to begin the days band workshops. …while other bands knocked out rousing renditions of AC/DC’s ‘Highway To Hell‘ and Bob Dylan’s ‘Knockin’ On Heaven’s Door‘. A highlight of the day was bringing the youngsters together and watching them enjoy playing with other musicians, many for the very first time. One particular favourite track was ‘House Of The Rising Sun‘ by The Animals. The traditional American folk song was a hit for the English rock band in 1964 and was a #1 chart hit for the group in five countries, including United Kingdom and United States. The main hook of the song is built around a repeating 6/8 broken chord arpeggio rhythm and features predominantly open chords, which is great for the beginner guitarist. 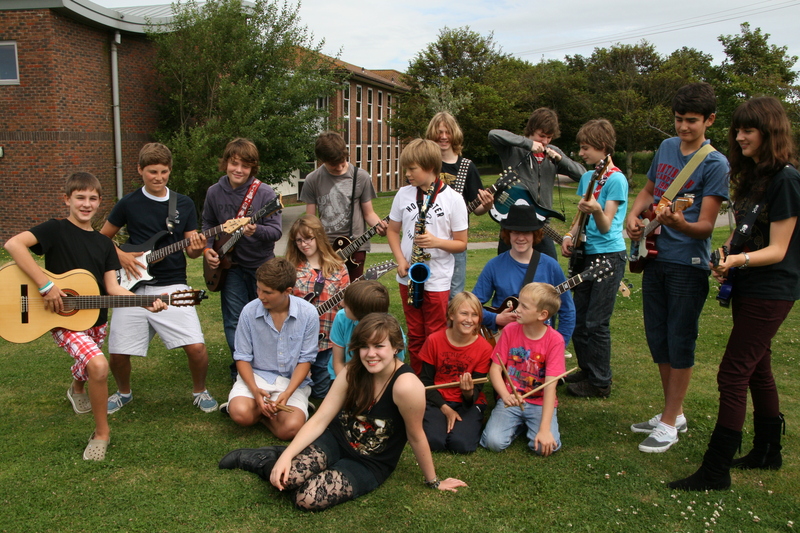 Whether you want to play for fun or for your future career, our Monsters of Rock Summer School is the place to be in August 2012. We offer five days of music making with our exceptional tutors, packed with workshops and activities to challenge and inspire all. You should be prepared to work hard and play hard in order to take your music to the next level, and get the most out of our course. 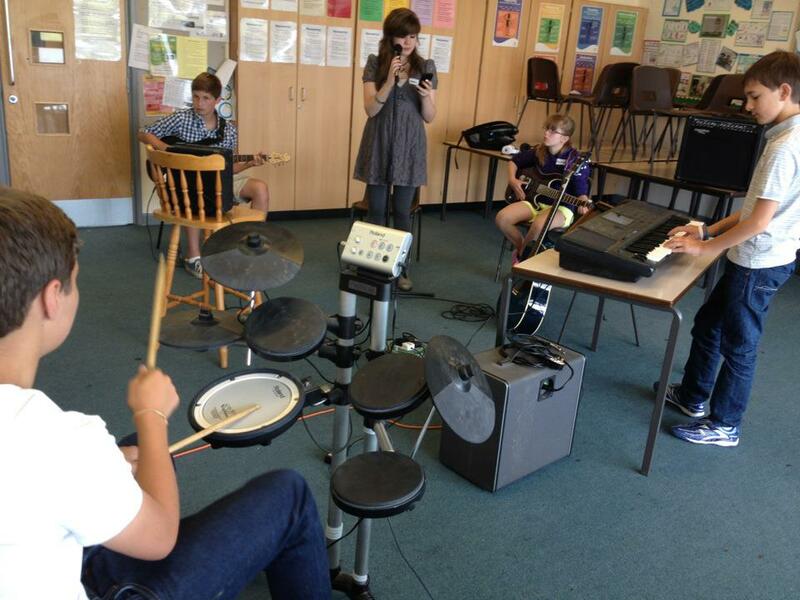 Students do not need any formal musical qualifications to join us. We only ask that you are familiar with your instrument, have been playing for at least a year, and have knowledge of the basics. Students will be in small classes with specialist tutors. There will be time throughout the week to develop your technical skills as well as your performance skills. 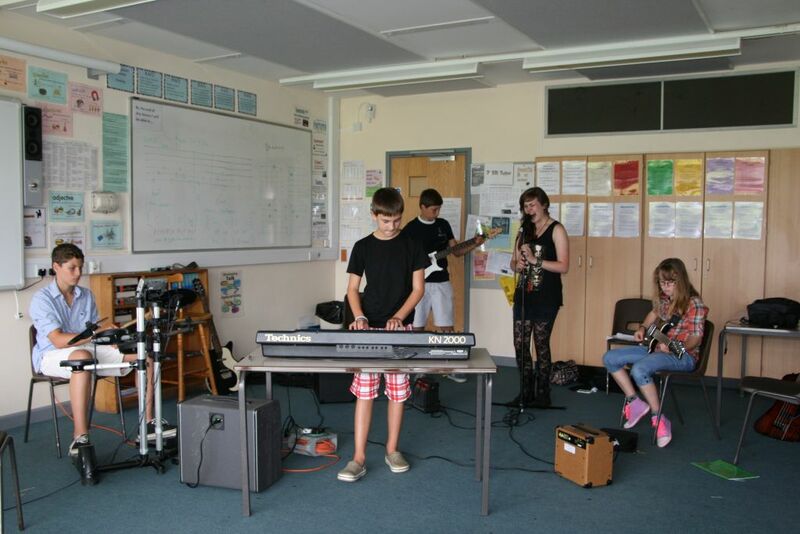 There will be lots of performance opportunities throughout the week, including jam sessions, band rehearsals, and a show at the end of the week for your friends and family, which is the highlight of a hard, fun packed week. Our aim is for you to: Improve your technique and musicianship, Develop your performance skills, Network with other local musicians, and if you want to, learn to write and perform songs. The course will run from Monday 13th August 2012 until Friday 17th August 2012, 10:00 until 16:00 each day. All students are fully supervised from arrival until they leave each day. The week costs £150.00, but you can also make a deposit of £50.00, the balance of which must be paid by the 1st of July 2012.